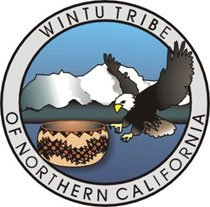 Prior to expansion in the early 1800s via the Oregon Trail, the area surrounding Lake Shasta was home primarily to the Wintu Indian tribe and the occasional gold miner or trapper. It wasn’t until the railroad was completed along the Oregon Trail that Lake Shasta really began to transform. The name Shasta is an evolutionary name originally derived from the name “Saste” which early settlers used to describe the mountain and the local Indian tribes. In 1850 the name “Shasta” County was officially given to the area by California State Legislature. Today, the Lake Shasta area provides year round activities and sports making it a perfect destination for vacationers. With Shasta Lake as the center piece, visitors from all over the world are eager to come see Northern California’s “Three Shastas”: Mt. 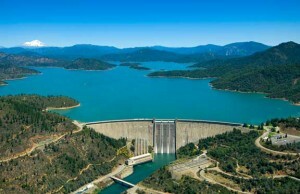 Shasta, Shasta Lake and Shasta Dam. Shasta Lake’s 365 mile shoreline creates a wide array of possible recreation, activities and sports. Many avid fishers seek out Lake Shasta as their coveted destination because it provides a rich habitat for both coldwater and some warm water fish. Mt. Shasta is a prime location for winter sports and its’ year round snowcapped peak provides a stunning contrast to the warm sunny weather in its surrounding cities. Shasta Dam, which was built between 1935 and 1945 to control the flow of three major rivers (the Sacramento, McCloud and Pit River), is now the second largest dam and the tallest concrete dam in the US. If perched high enough up on one of Lake Shasta’s many surrounding mountains, you can catch a spectacular view of Mt. Shasta and Mt. Lassen, and you are likely to even see a few of our nation’s prized possessions, the bald Eagle, as Shasta Lake is known for the greatest concentration of nesting bald eagles in California.